If you represent a company, owner site, or reciprocal council, you will need to apply for a company account. 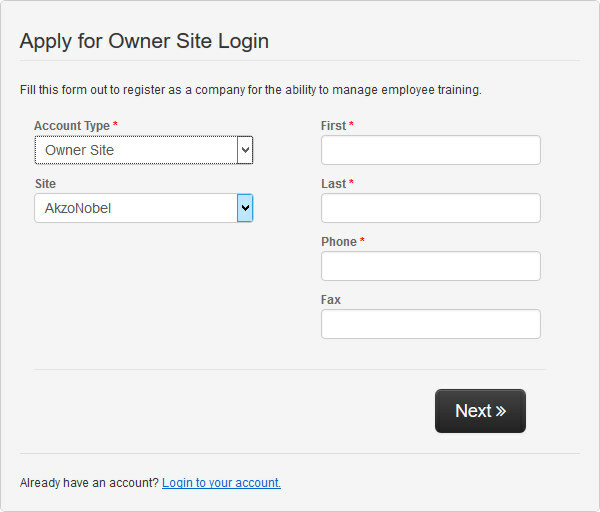 Creating an account as a company will allow you to register students and manage their training. Accounts for owner sites and reciprocal councils will allow you to look up student records. 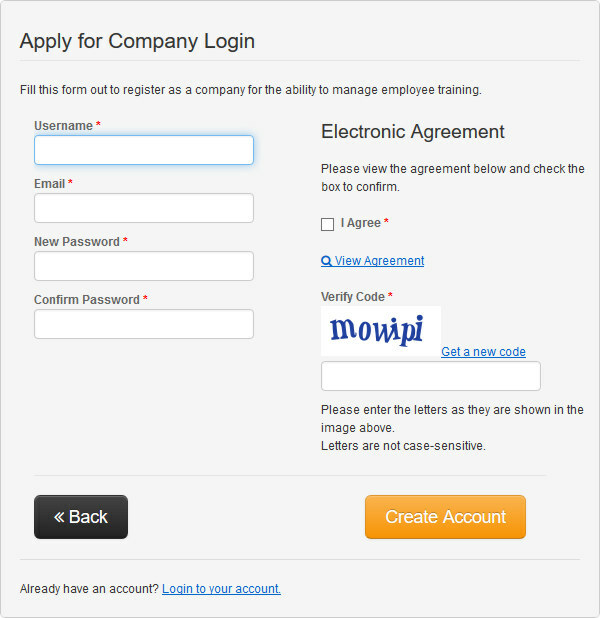 Select the Apply For Company Login button on the SORT Login & Accounts page to get started. 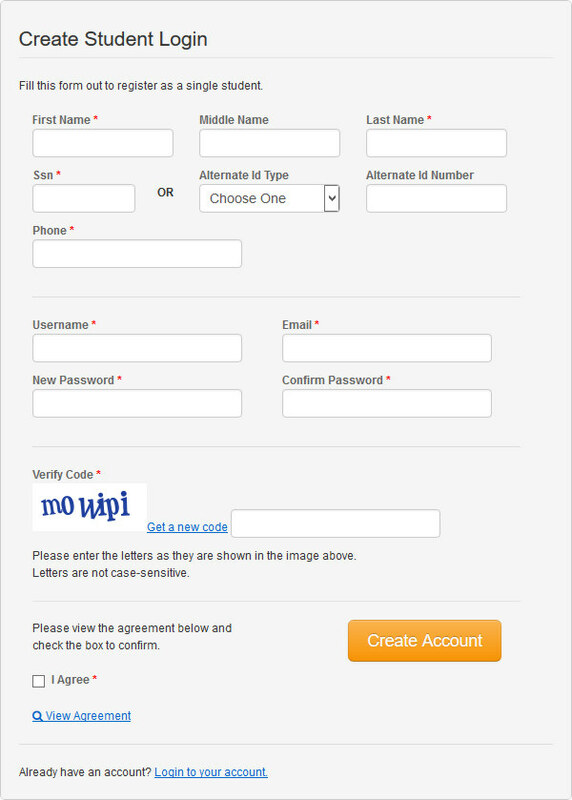 Next, fill out the the first page of information, making sure to include as much information as possible. Note that all fields marked with a red asterisk (*) are required information. Be sure to select the appropriate Account Type. The information fields will be different for companies and owner sites/reciprocal councils. Click the Next button when all the information has been entered. Fill out page 2 of the application. Note that all fields on this page are required. Make sure to read the agreement and check the I Agree checkbox. Once you have finished, click the Create Account button. If the application was submitted successfully, you should see a notification that the account request was sent. You should also receive an email notification that your request was received, and a second confirmation email will follow once your application has been reviewed and approved. 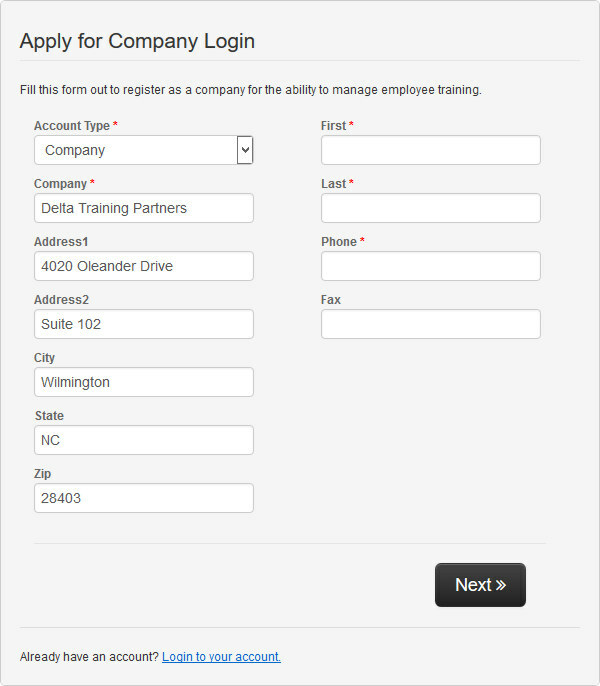 If you are individual (independent contractor, for example) who will be registering for and managing your own training, you will need to create a student account. Select the Create Student Login button on the SORT Login & Accounts page to get started. Fill out the form, making sure to accurately include as much information as possible. Note that all fields marked with a red asterisk (*) are required information. Make sure to read the agreement and check the I Agree checkbox. Once you have finished, click the Create Account button. If the information was submitted successfully, you should be automatically logged in and directly routed to the student enrollment page. You should also receive an email confirmation of your newly created account.